Two weeks after Hurricane Irene I’m wandering the back-roads of Marlboro, Vermont, making my way to Robin MacArthur and Tyler Gibbons, also known as the music duo Red Heart the Ticker. On the drive I pass cows, orchards, and working farms. As predicted, my cell phone has no signal, but so far, there’s been no need to rely on the kindness of strangers. The dirt roads wind and curve. 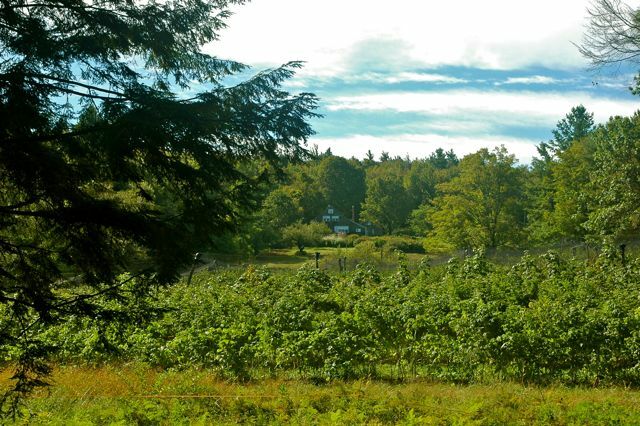 As I climb Ames Hill, I catch glimpses of the Green Mountains rising above barns and fields. 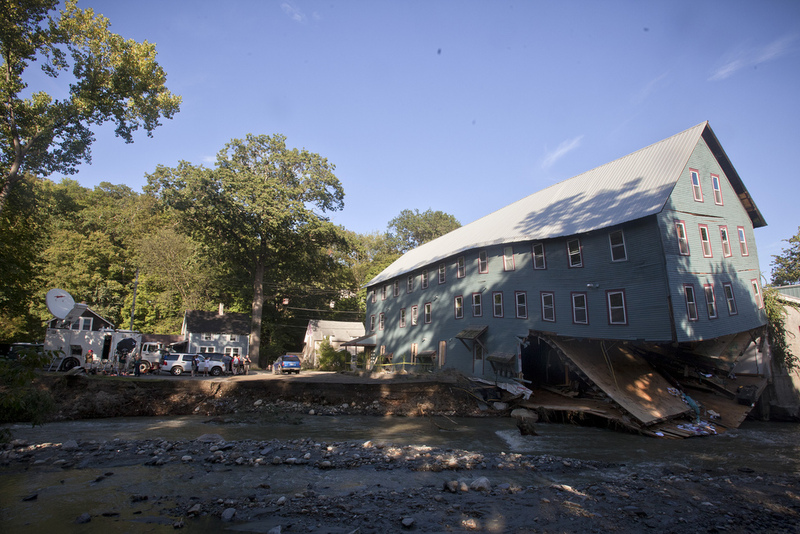 Although it’s been two weeks since Irene, the storm has left a mess in its wake. Water rushes through deep gullies and the road is like a washboard. 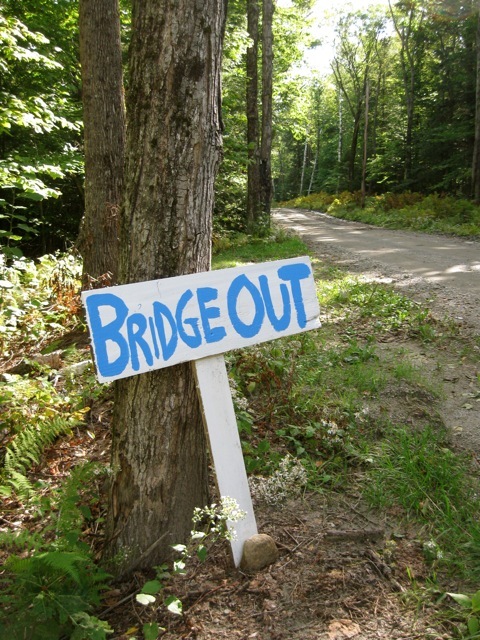 I pass hand-painted signs that say Bridge Out and Road Closed. Totally impassable. Bridge gone. Dangerous gullies. No sightseers please. 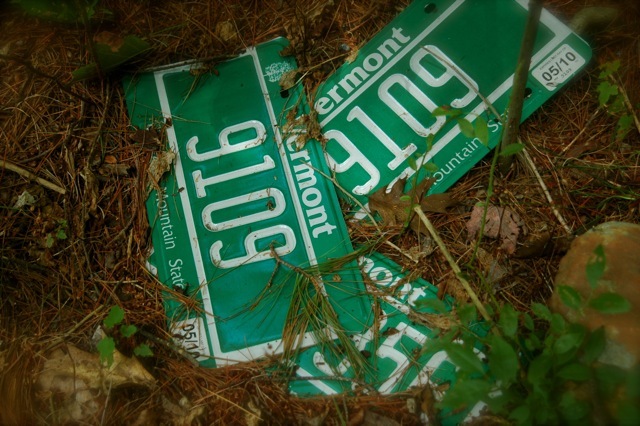 The Vermont back-roads are named for local landmarks and the families who have lived here for generations. 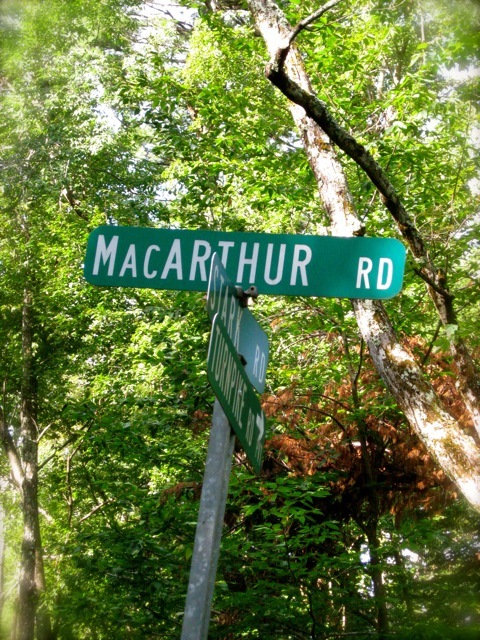 Finally, after miles of twists and turns, I see the name I am searching for: MacArthur Road. There have been MacArthurs here since the 1940s. 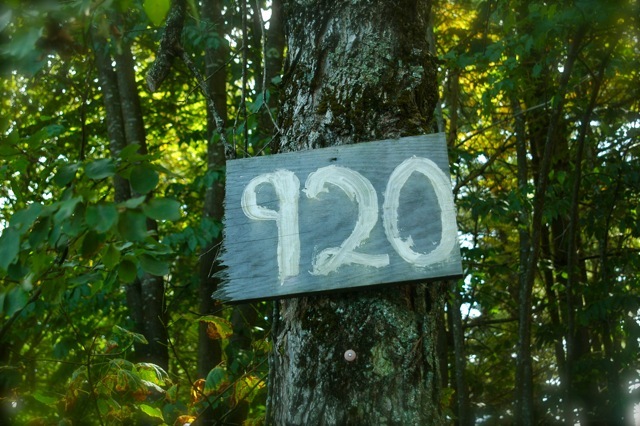 Decades ago a young woman named Margaret MacArthur and her husband, John, moved to an abandoned 1803 farmhouse in these woods. Margaret grew up hearing traditional music, first in the mountains of northern Arizona where her step-father was cruising timber in the Tonto National Forest, later in Missouri where he was raising seedlings for the Mark Twain National Forest, then in Southern California where he was raising guayule rubber plants during the war. But in Vermont, the only songs Margaret heard were church songs. 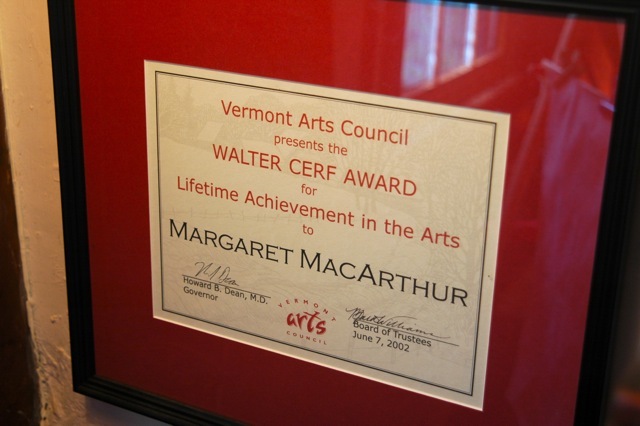 Hungry for the musical traditions she had left behind, Margaret bought a Wollensak reel-to-reel tape recorder, trekked around Vermont with her two-year-old daughter in tow, and began recording the forgotten folk songs of the region. 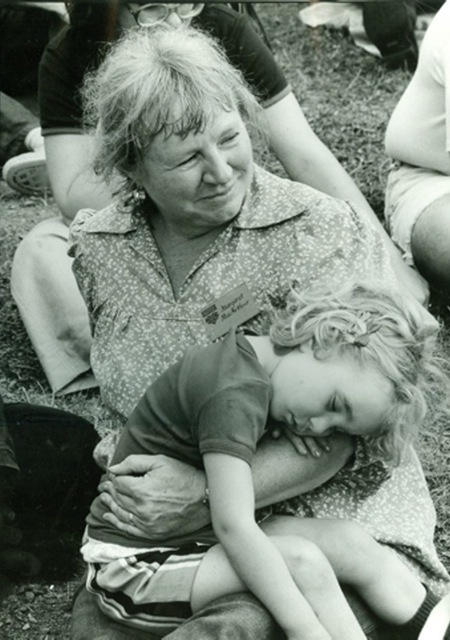 When Moses Asch, the director of Folkways Records, learned about Margaret, he asked to hear her music. 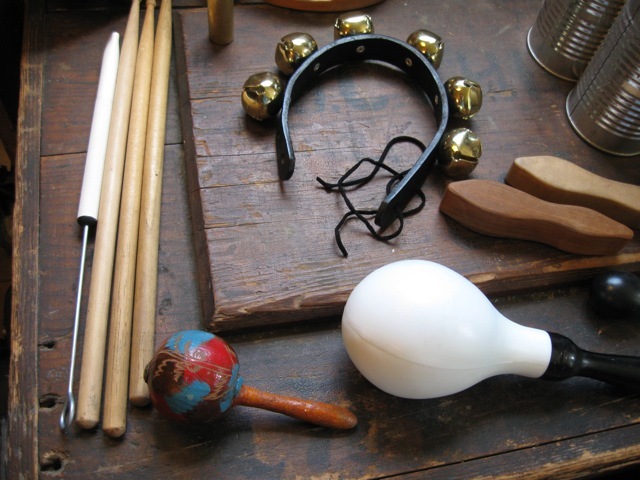 She put some batteries into her Wollensak, sat down at the kitchen table after her five children were asleep, and recorded fifteen songs, never imagining anything would come of it. Six months later she received a letter from Moses and a record of the music she had recorded. 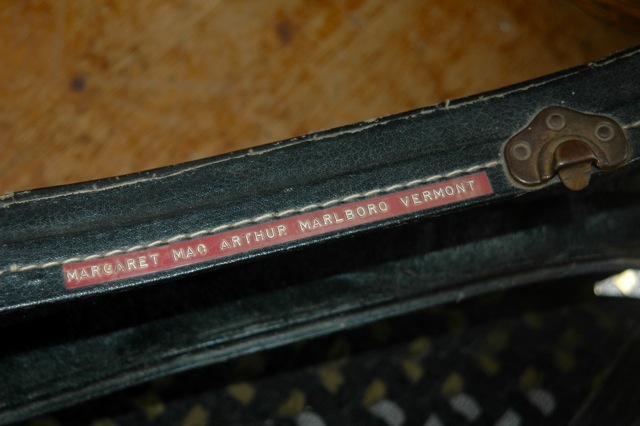 The resulting Folkways’ record, Folksongs of Vermont, became the first album in MacArthur’s nine-record career. Her life-long dedication to the lyrical ballad would make her a seminal figure in Vermont’s folk music scene. 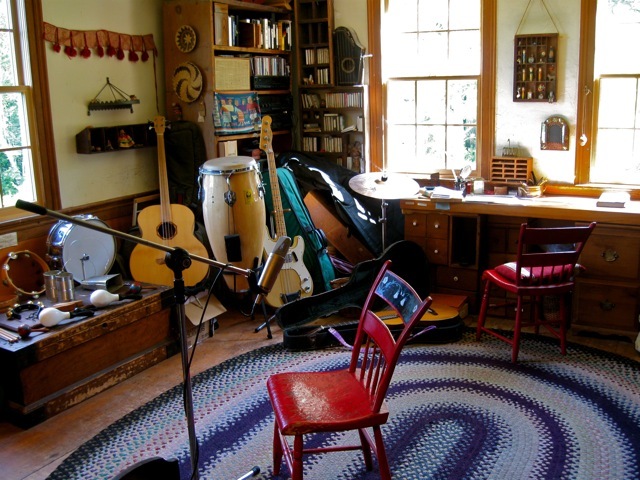 More than 70 years later, Margaret’s granddaughter, Robin MacArthur, and her husband Tyler Gibbons, set up their instruments and recording equipment in Margaret’s study–the same room where she died in 2006–and began making their third album, Your Name in Secret I Would Write. 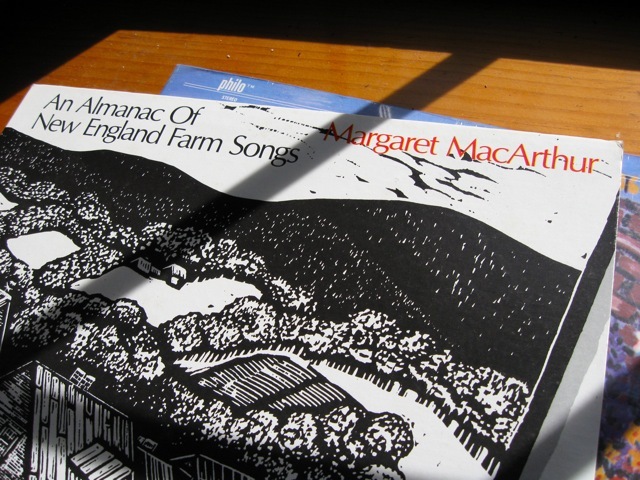 The album is comprised of their favorite Vermont folk tunes in Margaret’s collection. The duo has breathed new life into these classic recordings. 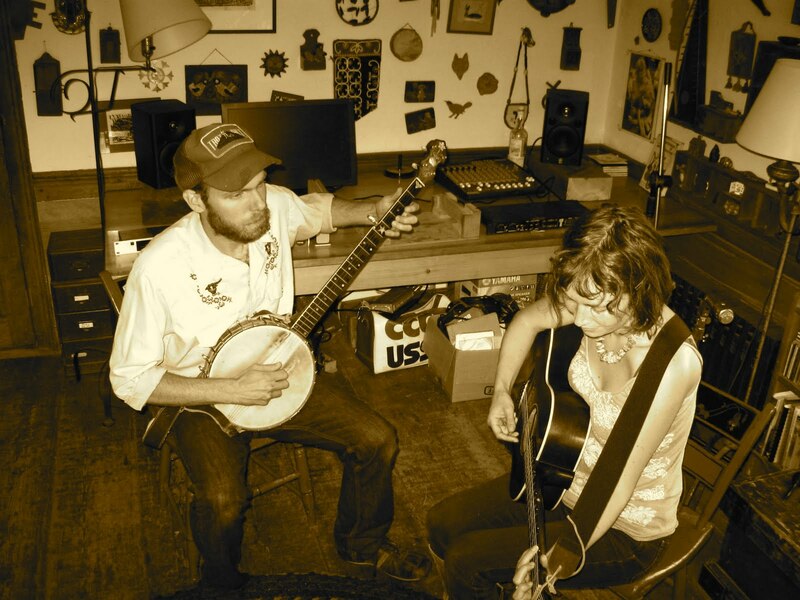 In the hands of Robin and Ty, songs like “My Dearest Dear” and “Lakes of Champlain” sound fresh and compelling, a perfect balance of old and new. 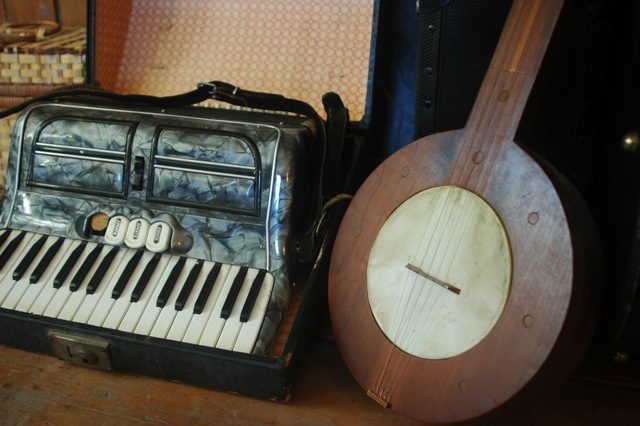 The duo has combined their own instruments with the sounds of Margaret’s dulcimers and 1961 Martin guitar, a fretless banjo made by Robin’s grandfather John, and an Estey pump organ found in a dumpster. 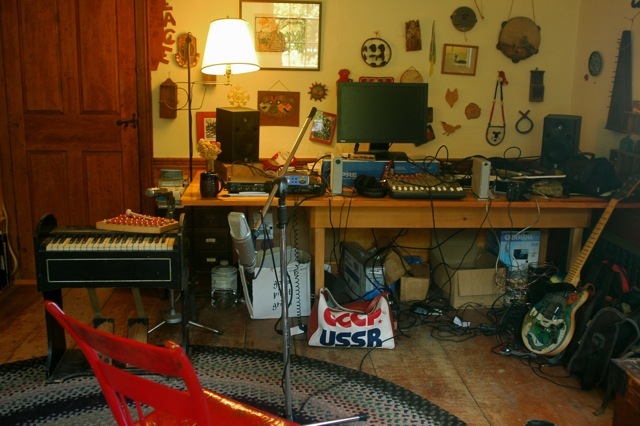 The ad hoc percussion on the album, which consists of shakers, glockenspiels, jars, handclaps, and boots on wooden floors, gives the album a bucolic, organic feel. Many of the songs Margaret collected were written by women. To hear a song like “Single Again,” in which a wife bemoans how hard her life has become since marriage, is to get a first-hand glimpse at the struggles of rural women from past generations. What’s more remarkable is that a tune like “Single Again” still has resonance –when Margaret MacArthur sings it in the 60s or her granddaughter Robin sings it in 2011. Red Heart the Ticker has released two previous albums: 2009’s Oh My! Mountains Below and For The Wicked in 2005. 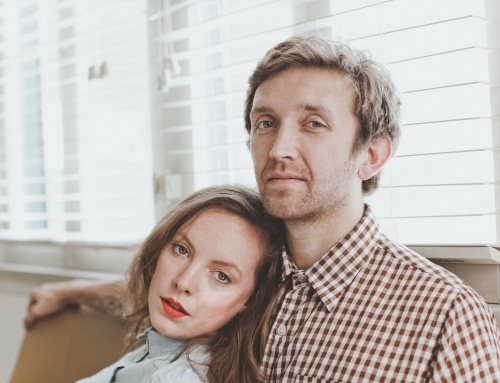 The duo has shared the stage with Dr. Dog, Sam Amidon, and the Cold War Kids, performed on Garrison Keillor’s A Prairie Home Companion, and was featured in Amanda Petrusich’s book It Still Moves: Lost Songs, Lost Highways, and the Search for the Next American Music. Their previous records have received praise from Pitchfork Media, the New York Times, and a four-star review from Paste magazine. 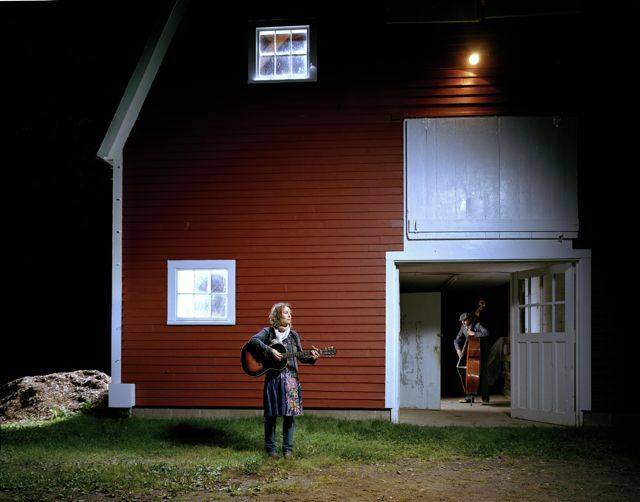 In 2010 the couple was awarded a grant from the Vermont Arts Council and the National Endowment for the Arts to fund this new album of traditional Vermont songs. When I arrive at 920 MacArthur Road, Robin, Ty, and their daughter, Avah, welcome me at their cabin with warm greetings and a steeping cup of tea. 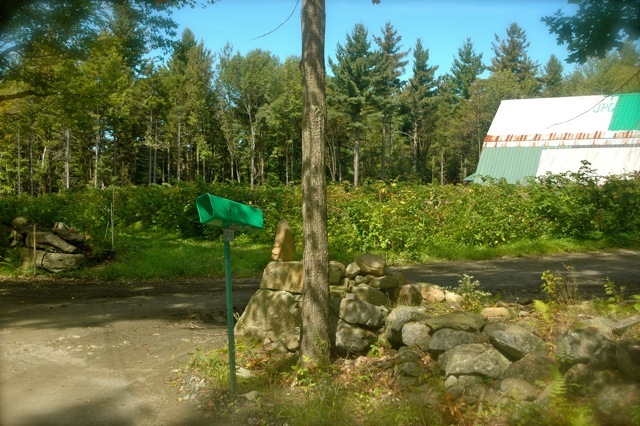 There are two cabins on the property–the old cabin Robin built with her father when she was 16 and the new cabin where Ty, Robin, and Avah live. 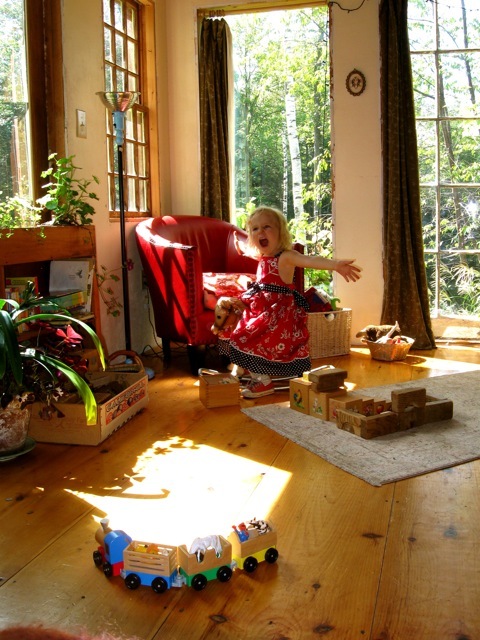 The couple built the house themselves from locally harvested wood. The 1000-square-foot cabin is the perfect size with two bedrooms, one bath, a living room, and a kitchen. There are lots of books and literary journals at hand. 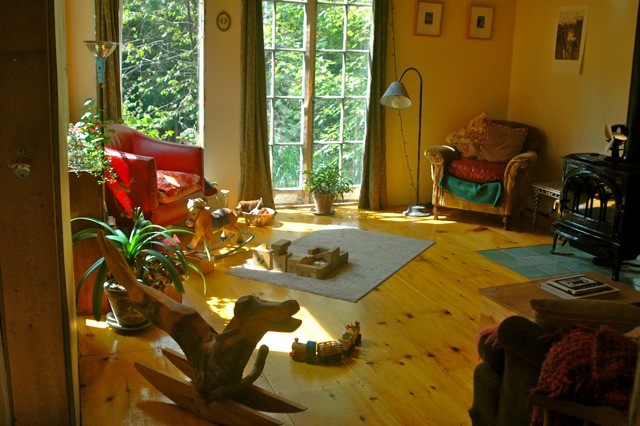 A wood-stove, not a television, is the focal point of the living room. Avah’s rocking horse, wooden train, and building blocks are spread out on the rug. A cat snoozes on the sofa. While some artists work in a studio, at a desk, or in an office, Robin and Ty have many creative spaces at their disposal. Sometimes Robin writes at the desk in her bedroom. 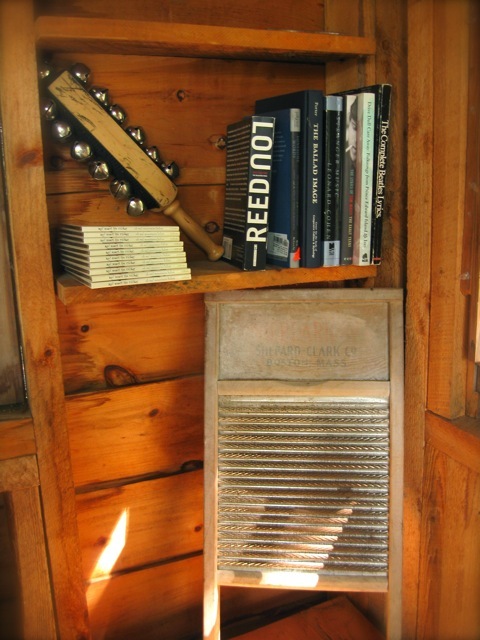 The couple also uses the old cabin to write, read, and play music, as well as Margaret’s study, which has been left exactly as it was when she died. 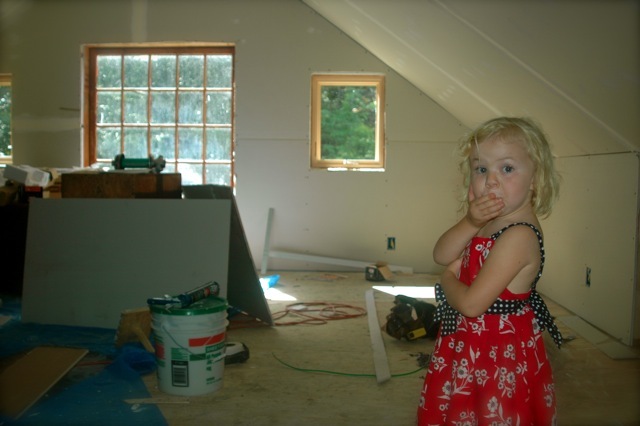 Ty is building a new recording studio in the attic of the barn–the room will have better acoustics and will house all of the equipment Ty needs for mixing records. Robin’s parents live just down the road, as does her brother, Jason, and his wife Lauren. 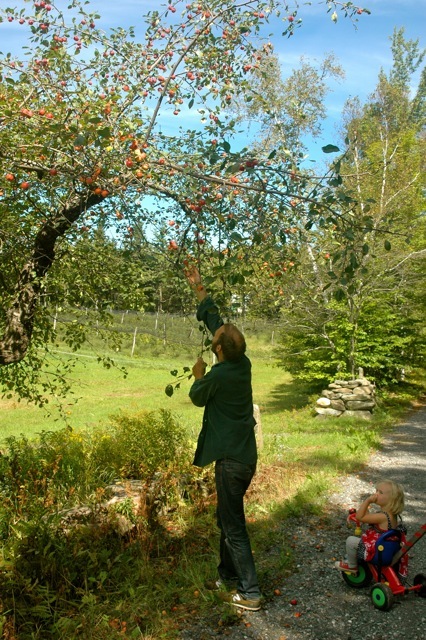 The couple operates their own cider press and has just launched Whetstone Ciderworks. Robin’s father, Dan, is a post-and-beam builder. 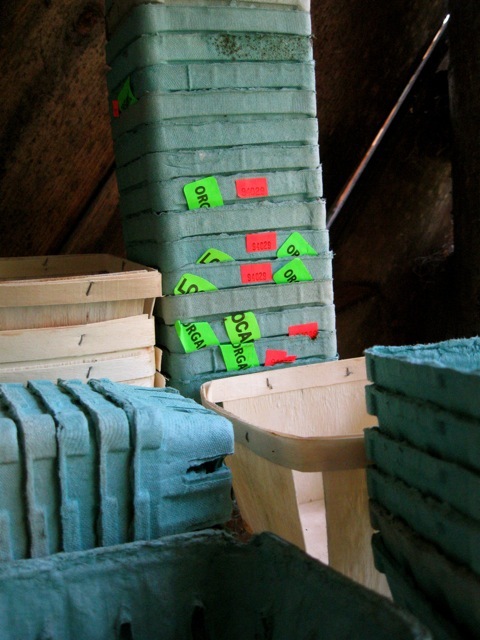 He dries wood in a solar kiln located on the property. 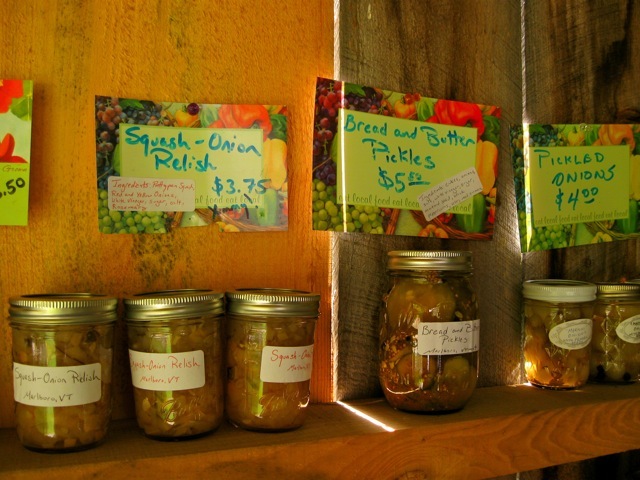 In between Margaret’s house and Robin and Ty’s place is Gail’s farmstand, where Robin’s mother sells fresh produce, berries, jam, pickles, and other treats. 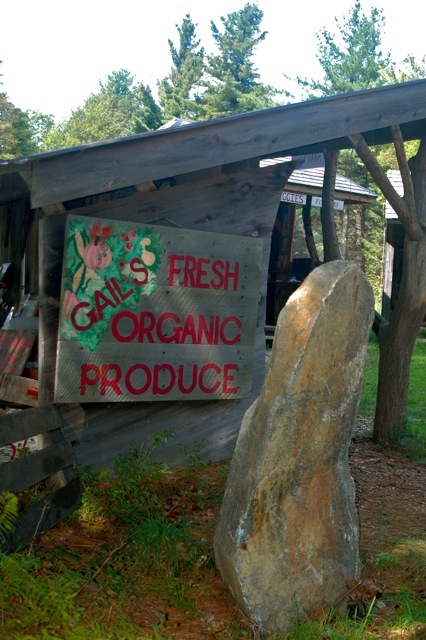 Storm damage on Route 9 made the farmstand difficult to access during peak produce season. 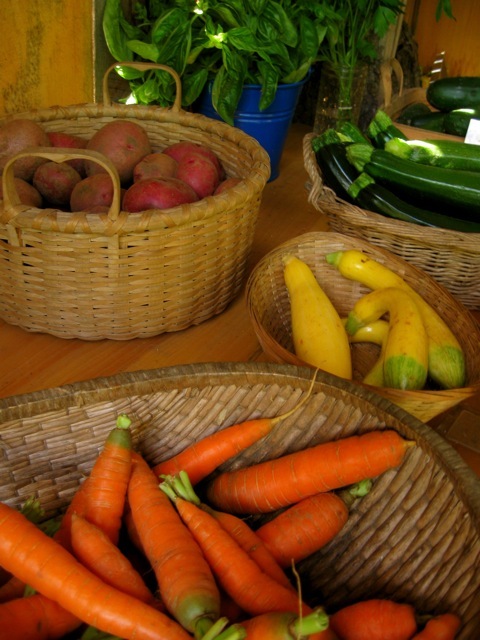 On the day of my visit, Gail is driving vegetables to the local post office parking lot to sell. I spend the better part of the day with Robin, Ty, and Avah exploring the creative nooks and crannies on MacArthur Road. 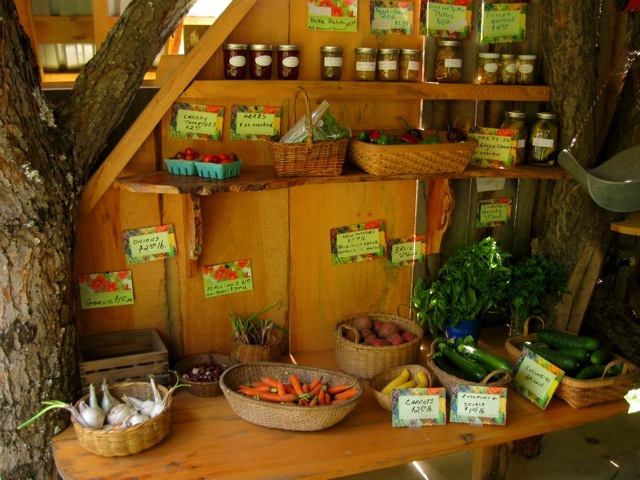 But before I go, I give in to the temptations of Gail’s farmstand. I arrive home with armfuls of MacArthur jam, berries, bread and butter pickles, and maple syrup. Sunday breakfast the next morning never tasted so good. What follows is an in-depth interview and photo essay about Red Heart the Ticker, their creative life, and their music. The couple discusses their musical process, their decision to move back to Vermont after living in New York and Philadelphia, the legacy of Robin’s grandmother, their commitment to buying no new consumer goods for an entire year, their struggles with time management, and other subjects. New York friends–you’ll have the rare opportunity to hear Red Heart the Ticker play live at The Living Room in the East Village this Saturday, October 8th. The show is free and starts at 7 p.m. 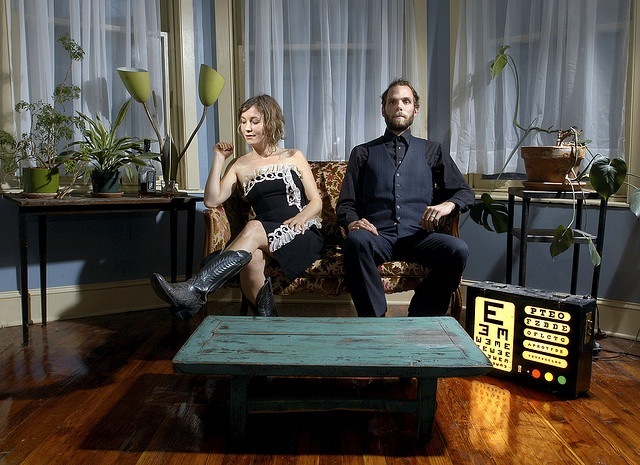 The duo will also be performing at the Vermont Folklife Center in Middlebury at 7 p.m. on October 28th. Tickets are $15. Call 802-388-4964 or email [email protected] for more information. Note: This is the third installment of Gwarlingo’s Creative Spaces series–a photo and interview series that documents the creative habits and work spaces of artists. Robin, can you talk about your own memories of your grandmother, the folk songs she recorded, and how growing up with Margaret and her music influenced your development as an artist, writer, and musician? My grandmother was more of a subliminal influence on my life than an overt one. As a kid I didn’t want to grow up to be a folksinger (I wanted to be Yoko Ono or Sigourney Weaver in Gorillas in the Mist), but I spent a lot of time around her, and around her music. 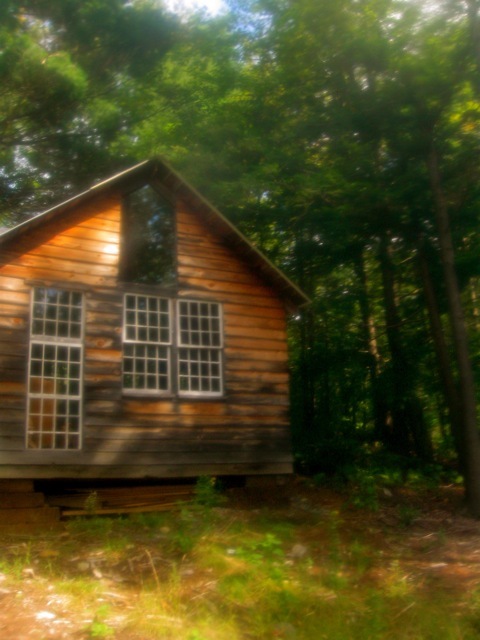 My parents had built a house in the woods down the road from my grandparents’ farmhouse, and my grandmother was always throwing music parties for musicians traveling through. Lots of whiskey and home-brew was consumed. 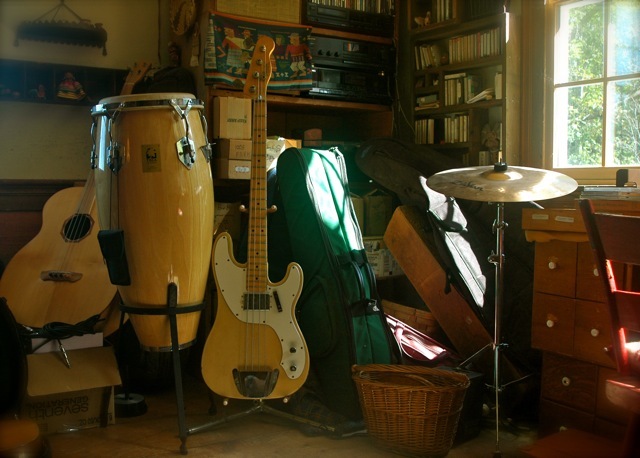 Everyone in my family played an instrument, and my brother and I would fall asleep on the floor, surrounded by all that grassroots, reverberant, drunken music making. 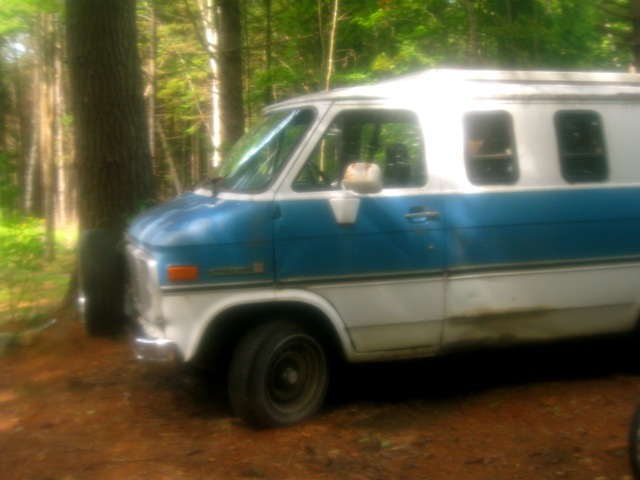 We also traveled to folk festivals with my grandmother (and aunt and dad and uncle, who performed with her) in her blue and white touring van that she and my grandfather had converted into a camper. During the performances we would sleep in my aunt’s upright bass case (which was actually an old sleeping bag). There’s no doubt that music and the free-wheeling lifestyle of the artist seeped into my bones. As for her songs—as a kid I thought they were pretty boring. I was much more into music you could shake your body to—southern songs, soul songs, the Beatles. In high school I got into country music—Hank Williams, Loretta Lynn, Patsy Cline—music that was over-the-top emotional, and I liked that. I didn’t want the reserved emotions of old New England folk ballads—I wanted heart and guts. 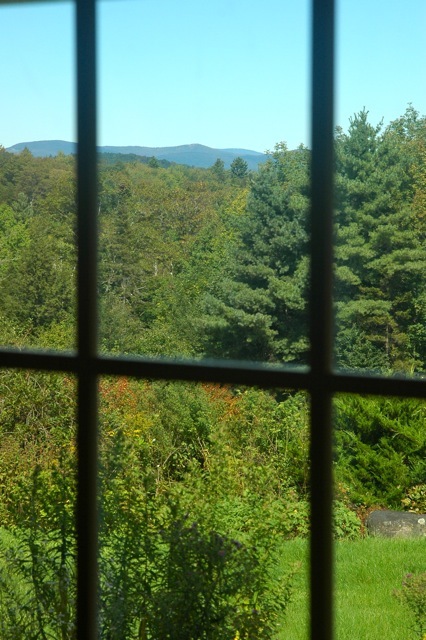 Robert Olmstead, one of my favorite writers (and from New Hampshire), once said something like, “Southern writers come from porches of noise, New England writers from rooms of silence.” I think that’s so true, and I didn’t want, as a kid or a teenager, those rooms of silence. I wanted emotion and noise. But something happened in my late twenties, early thirties. My grandmother died, for one thing, in her New England farmhouse, and the songs she sang seemed especially reverberant in those quiet rooms. Also, Ty and I moved back home and are again living through these long, quiet winters. They change you, these winters, and they change your sensibilities, too. 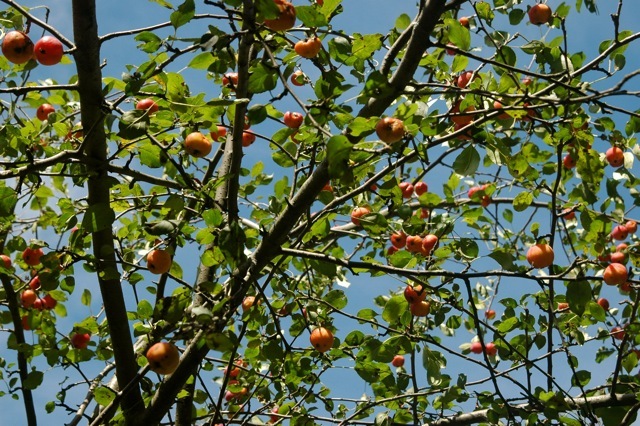 These stories and melodies offer us a taproot into another time. They bring the quiet past right here into our home, and they do so by traveling through our fingers and our voices. It’s an eerie kind of embodiment thing happening, and I wouldn’t want to be making any other music just now. How did you go about choosing the final twelve songs on the album? Were there any fascinating discoveries about the songs themselves or their backstories as you began listening, reading, and digging through the archives? I sat down one day and started listening through my grandmother’s nine records in chronological order. I didn’t have any mission in mind, I just picked the songs that reverberated most with me, and which matched our sensibilities. I heard David Rawlings say something like, Gillian’s voice sounds lonely, so that’s what we write: lonely songs. And we had to do that, too: pick the songs that match our kind of haunted, lonely, sparse aesthetic. I knew I’d never be able to pull of a funny song or a drinking song or a bawdy number. It was after I’d chosen them that the songs deepened and took on new lives. 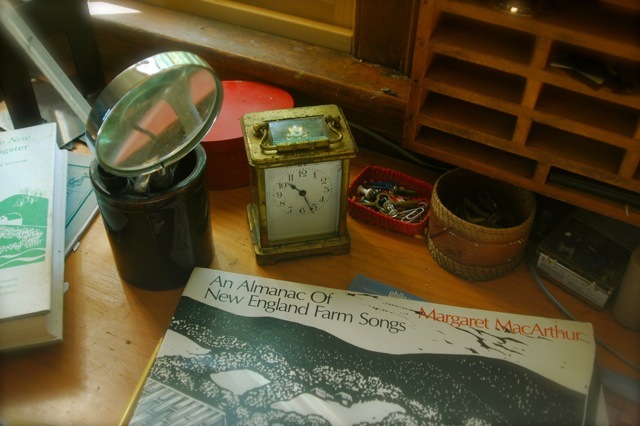 The Vermont Folklife Center houses all of my grandmother’s field recordings, and I started listening through all of those. “Mother’s in the Graveyard” my grandmother learned from “Hildreth Brown of Hancock, New Hampshire, who learned it from her aunt, Caroline Lewis Gordon, who had learned it from slaves on the Flint River Plantation in Georgia.” I was fascinated by the mystery of those notes—was Caroline Lewis Gordon black herself? Or a white song-catcher? So I listened to Caroline Lewis Gordon singing in the field recordings. She was at a nursing home in Brattleboro and sounded like she was about 95 years old. She was clearly white, and sang in a highly affected imitation of black singers. Hearing that recording didn’t answer much for me, but it brought the chain of that song’s survival to life. I also discovered that “Mother’s in the Graveyard” and “Single Again,” two songs off Folksongs of Vermont, my grandmother’s first album, haven’t been collected or recorded by folklorists anywhere else. Which makes their existence, here, pretty phenomenal, in my mind. To think these songs might have just slipped away. Another song that’s deepened through this process is “Stratton Mountain Tragedy.” It’s a true story about Lucy Blake and her daughter Rebecca who get lost on Stratton Mountain during a snowstorm in 1821. The windows of my grandmother’s farmhouse face Stratton Mountain, and my grandmother said that she often sat at those windows and sang that song. The poem was written by another Vermont woman, Seba Smith, in 1843, and then collected by Helen Hartness Flanders in the 1930s. Singing this song I started to have this eerie sense of connection with multitudes of generations of Vermont women. I felt myself slipping inside the skin of Lucy Blake, and Seba Smith, and Helen Flanders, and, of course, my grandmother. I realized this was a feminine literary heritage that I hadn’t before acknowledged. I’d gone chasing New England literature by reading Frost and Hawthorne, but here were the quieter, unknown voices, and the best way to keep them alive, and honor them, was to sing them myself. This summer I sang “Stratton Mountain Tragedy” at our Marlboro Historical Society and some people chimed in with their versions of the story. One woman said that every spring she goes to the cemetery where Lucy Blake is buried. This spring she went there and noticed there was a red rose on her grave. She asked around and discovered that Lucy Blake’s great-great-great-something granddaughter still lives in our town, and that every Mothers Day she puts a rose on her grave. I knew then that what we were doing had much wider consequences than the selling of a few CDs—we were finding a taproot to a whole aspect of our local history that we hadn’t had before, and we were keeping these stories told, and alive. It gives me chills, still. Ty, one of your strengths as a duo is your skill not only on the bass, but also on keyboards, percussion, and other instruments. 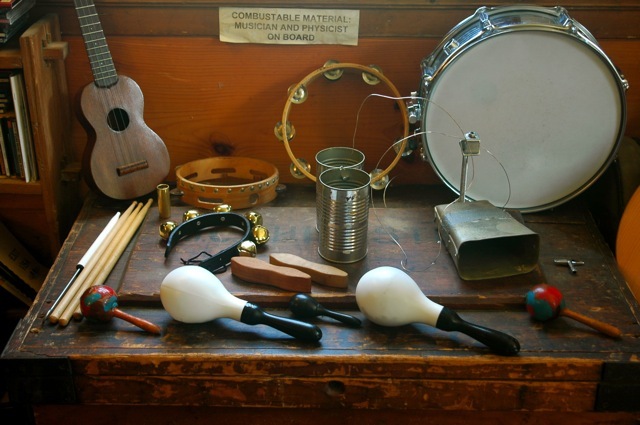 I’ve seen you play a toy piano, a tin can, bells, a tambourine (with your foot! ), etc. This album incorporates a variety of instruments and sounds. Can you talk more about the textures you created on this new album? Did you and Robin play all of the instruments yourselves? What are some of the quirkiest sounds and instruments used on the record? We did play every sound on the album, except for the field recording excerpts. 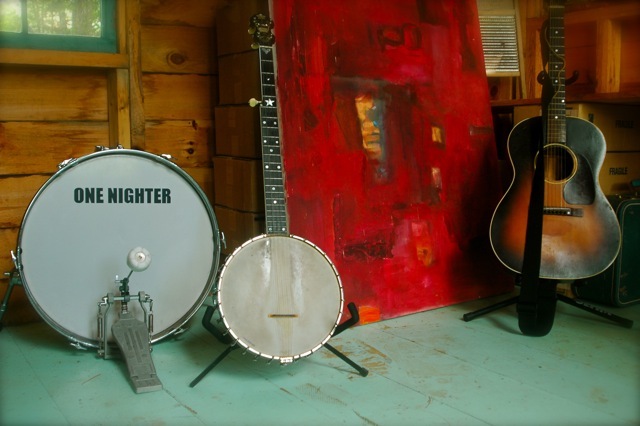 I rubbed banjo heads with my fingers, Robin stomped on the wide pine boards with her boots. I pulled over our mic and played instruments for the first time: dulcimer and bass dulcimer (both Margaret’s), plucked viola, fretless banjo. I took the top off an old upright piano and strummed the strings like a harp while changing the chords on the keyboard. I played our friend’s bass drum, part of her drum kit called the “One Nighter” with my foot, my hands, a mallet, with a pillow in it, a blanket in it, with nothing in it, with duct tape on it, the blanket over it, with me standing up, sitting down, and lying near by. I just have to try things in order to bump into the right sound. This album was particularly tricky because the songs tell such amazing old stories, and we didn’t want to distract from the narrative aspect of them. The trash can lid didn’t make the cut. We had free reign in one sense, but we also felt bound to respecting the songs and the stories they told. 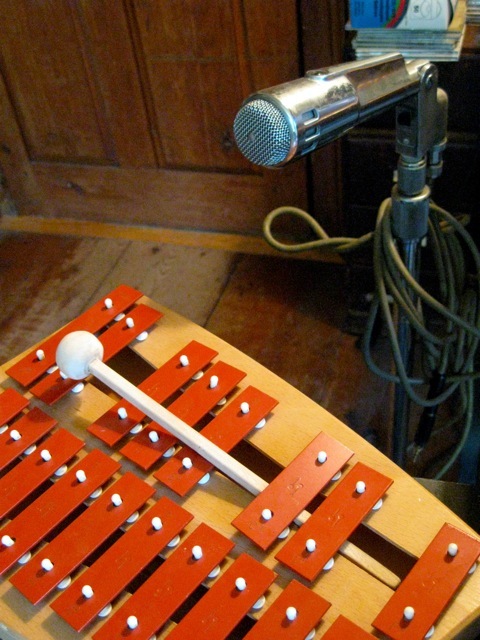 When all was said and done, the textures ended up being quite simple in a lot of places: just a banjo and voice and cymbal, or just a pump organ and glockenspiel. The orchestration was, in some ways, more a process of elimination than one of addition. 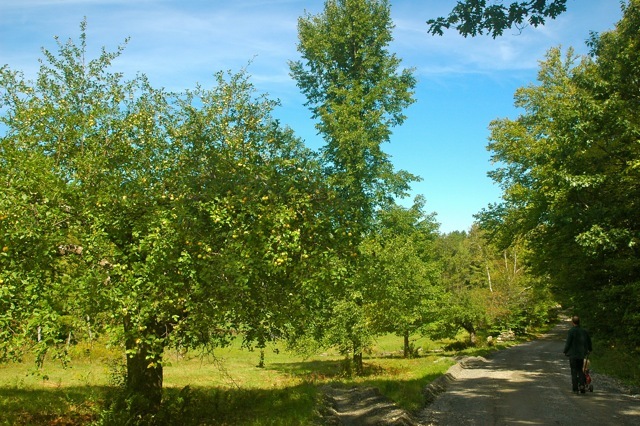 Because you live in such a beautiful place, it would be easy for an outsider to idealize your rural lifestyle. But country living comes with its own set of challenges. You’ve spent time in New York and in Philadelphia, but eventually decided to return to Vermont. 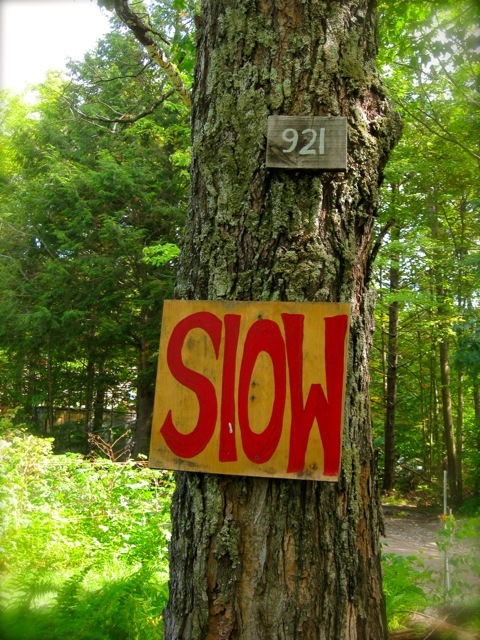 Can you talk about the challenges of living in a rural place as artists? 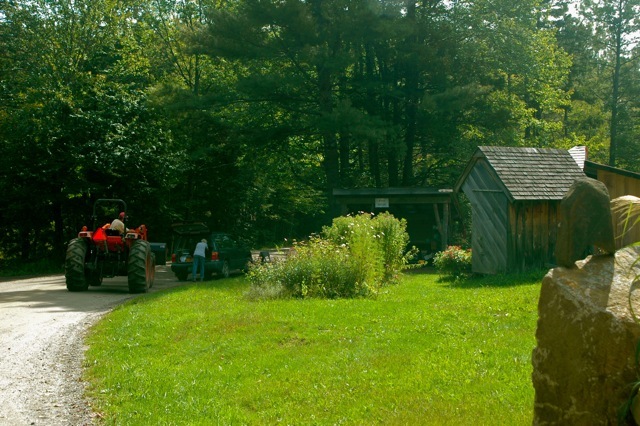 Do you feel a push/pull between country and city living? What does the country give you that you can’t get in the city and vice versa? How has living far from home, as well as returning home, influenced your creative work? Robin: This used to be the question of our lives. We lived in New York and Philly, and loved the creative vibrancy of those places, the hot blast of something happening all the time, but also found it exhausting. 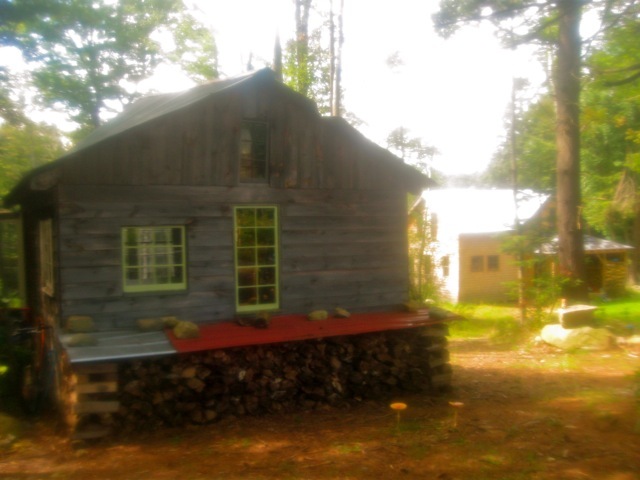 I had built my first cabin on parents’ land when I was sixteen, and we’d go back to that cabin regularly and light a fire in the woodstove, and light some candles, and drink a bottle of wine, and think, This is it. This is where we’re meant to be. But we weren’t yet ready to dive into the “quiet rooms” of the north woods or of our lives, so we kept going back to those cities. While there we’d be filled with yearning for “home” and that yearning informed our art quite a bit. I don’t think anything inspires art the way yearning does: for a person or a place. A lot of the songs on our first two records were love songs to the place where we’d grown up, the place where, as Neil Young would say, all our changes were. We were creating through song (and me, through stories), mythical recreations of that cabin and those fields and woods and bridges and rivers. When we finally decided to move home for good, all of that shifted for us. The yearning dissipated, and, in many ways, we’re still trying to fill that creative pocket. What are we yearning for now? We still love cities, and pine for them, but not in a deep enough way to inform our art. We like getting blasts of cities, but even that is fading a bit. 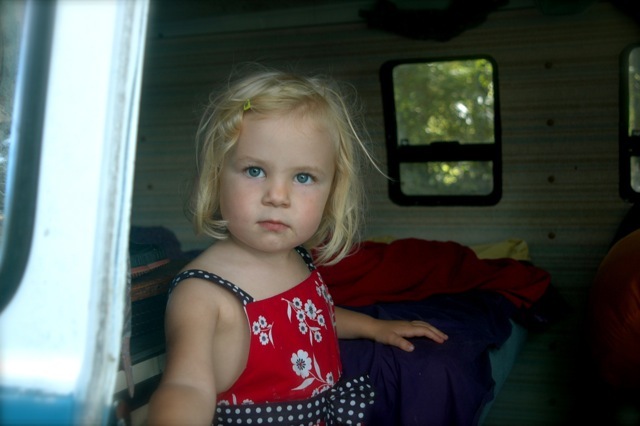 We have a kid now, and I can’t imagine raising her far from the woods. Also, we’re beginning to find that once you stay in a place long enough you start discovering the creative pockets you need, the sources of inspiration. Who knows—maybe we’re just growing old, or settling into our quiet New England rooms, but the push and pull of city vs. country has become a lot less urgent for us. You can find edge and inspiration anywhere you land. As for an idealized bucolic lifestyle—ask me mid-winter. Right now it’s late September and the leaves are ablaze and I can’t think of any reason we wouldn’t live here. But I know I won’t feel that way in February, or in March, or in April. Those months are very hard for me. The isolation, the interminable snow, the quiet. They’re also when we write our best songs—when we’re back in a state of yearning. On a related note, do you find it difficult to achieve a healthy balance between creative work, family, travel, and various other jobs? What is your relationship to technology in your daily life? Ha. We sure do find it difficult to find a balance. I like to talk to young writers and musicians about economics, because I think it’s such an important part of being an artist. 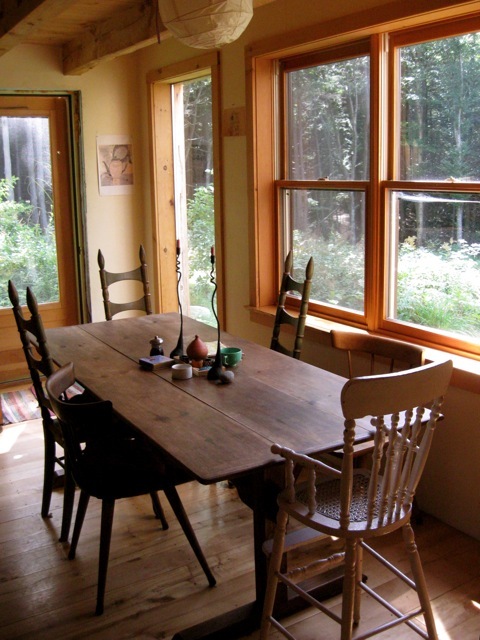 One of the (many) reasons we moved home to our cabin was so that we could live rent free. We pay property tax for our house, but that’s it. Our only utility bill is a $20 electric bill (we heat our house solely with wood, our water gets hot from the sun). We had a small pocket of money to put into construction materials, but other than that, we did all the work on our house ourselves. So, theoretically, we have “bought” ourselves time to be artists. But the irony is how much we’ve put into making our “free” spaces. Our house still needs some siding; our porch needs roofing. Ty spent all summer working on converting the upstairs of my grandparents’ barn into a recording studio, instead of recording. I spent the last two years getting an MFA, which also happened to be the first two years of our daughter’s life. That was plain old craziness. We recorded Your Name in Secret on Wednesday mornings in the three-hour-windows when our daughter was with her grandmother. This fall is the first time, in three years, we’ll have childcare of any kind. Our daughter just started preschool for three mornings a week, and those twelve hours seems incomprehensibly amazing to us. We can actually play music, together? Record together? Time management is the trial of our lives, but a very wise friend once said to me that the hard times in her life were never when she had too much going on, but when she had too little. My grandmother, when she was dying, held the hands of her three granddaughters and said, “Whatever it is, just do it. Just go for it. Whatever it is.” Those words have been ringing in my head for the past five years, and every time we come to a juncture and think how could we possibly do that as well I think of my grandmother’s life: five kids in a house without insulation or oil heat or electricity or running water. My grandfather worked two jobs and still made peanuts, which meant my grandmother grew (and canned) most of their vegetables, baked ten loaves of whole-wheat bread a week, did all that laundry by hand. And on top of that, made a career for herself. When I think of that, I realize we’ve got it easy. So easy. It also makes me think about how my grandmother spent the money she made from her first paying gig on a dishwasher (they had electricity by then). Never underestimate the power of technology! And speaking of technology: Ty and I pretty much live on our laptops. We don’t have or watch TV, but these computers help us feel connected to the world outside our doors, for better or worse. 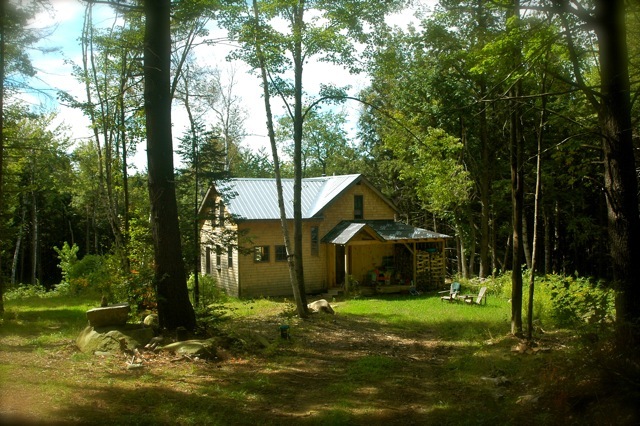 I recently read a book about the Nearings’ homestead in Maine, and the perspective of the author was that homesteading has become a much more healthy and viable thing since internet connections. You don’t risk the isolation. That being said, computers are also a waste of time and I once in a while ponder chucking ours out the window. In recent years, you have added writing conferences to your list of tour stops. You once told me that writers make some of the best audiences. Robin, you have an MFA and write essays and fiction, as well as songs, and Ty, you teach songwriting. Can you talk more about the relationship between these genres? Why do you think writers find your work particularly compelling? Could one or both of you talk about some of the authors and/or songwriters you most enjoy? Ty: I think a lot of writers secretly wish they were musicians, perhaps because I secretly wish I could sit at a little wooden desk somewhere and be a writer. The magic thing about songs is that the music part, the melody and rhythm and tempo and harmony and counter-melody, dramatically change and augment the meaning of words. I think maybe to writers it feels like a very satisfying kind of cheating when you can pump in emotion in that ineffable way. Sometimes I’ll read collections of lyrics as if they were poetry: so often they read like junior high poems without the music propping them up. There are a few songwriters who are great poets—Dylan is usually who comes to one’s mind—and certain good hip-hop lives in a gray area between poetry and songwriting. My absolute songwriting hero is Leonard Cohen, who was a very well known poet before he ever strummed a guitar. Songwriters usually excel either in the lyrical realm or the musical realm; Cohen is one of the few who somehow finds the apex of both. Robin: I tend to like writers who write with a musical lyricism and songwriters who incorporate story. I love Neil Young, Lucinda Williams’ early songs, John Prine, Townes Van Zandt, and Gillian Welch for the extremely visceral worlds they create though their lyrics (complimented, of course, by the emotive qualities of their singing). I love Robert Olmstead (his memoir, Stay Here with Me and his first collection, River Dogs), William Faulkner, Eudora Welty, Michael Ondaatje, Alistair MacLeod, Gabriel Garcia Marquez, Jamaica Kincaid, Ann Pancake and Louise Erdrich for their landscape-rich lyricism. They all incorporate a sense of mystery into their prose—a kind of richly textured atmospheric haziness, contrasted with concrete and vivid characters, that makes my heart twang. Robin, you have talked about how disconnected you feel from much of the contemporary landscape-less fiction you read today. Can you talk more about why the context of place is so important to you in both your music and your writing? It’s true, it’s hard for me to connect to fiction if it doesn’t have a sense of place. I read an interview with Annie Proulx in which she complained about our post-Freud era of “internal” fiction—fiction that revolves around family trauma and the state of the individual rather than history or culture or landscape or place. I’m not as militant as Proulx (in any way), but I do find that a story or song that places its human story in the context of a larger frame has much more resonance with me. I’m sure a lot of that has to do with my upbringing on a large piece of land occupied by my family for three generations. I don’t conceive of myself as separate from this place, or that history. I could never write a bio or paint a self-portrait without these particular houses and creeks and fields being, in some way, a part of it. I’m also a bit of a naturalist/transcendentalist/romantic in that I think there is a lot to be gained by stepping outside of the narrow confines of our small lives. It’s one reason why I’ve loved this recent project so much—getting to know this landscape not only two-dimensionally (its fields and creeks and barns)—but three-dimensionally as well: the voices of men and women who have stood and lived and loved here before me. 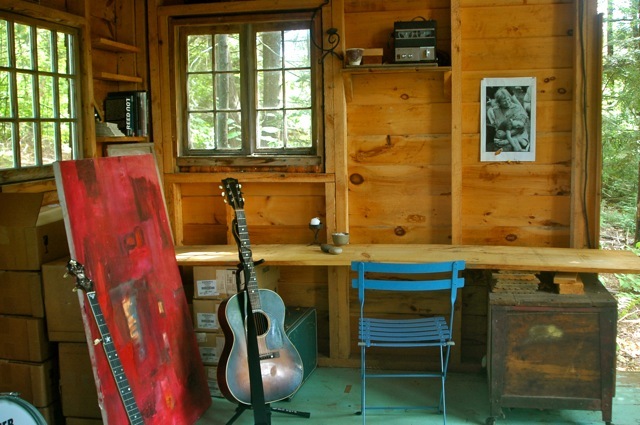 Can you talk about how you use these various spaces for writing and recording? At what point do you work collaboratively on a song? Do you have any specific work habits? Are specific spaces devoted to certain types of creative work? Robin: I would love to have a creative space of my own to fill up with books and papers and drafts of stories and photographs and paintings and sketches, but the three of us live in a 1000-square-foot, two-bedroom house, so that’s not possible. Instead I rove. 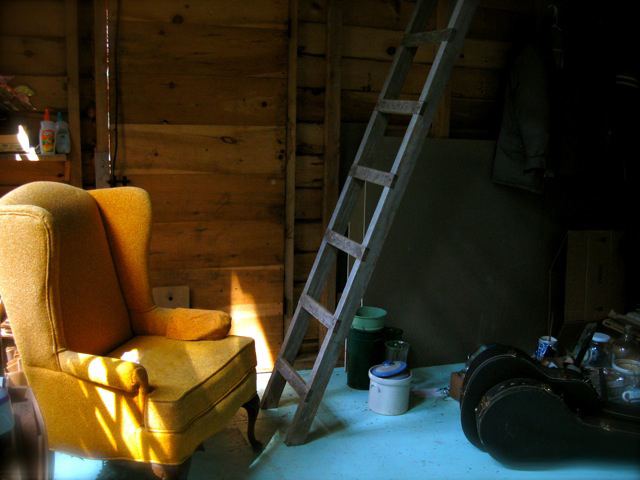 In the summertime, when the weather’s nice (and the mosquitoes aren’t too bad) I set up camp in the (breezy) cabin I built when I was sixteen. When our daughter is sleeping, I work on my bed. When she’s up and about and it’s cold outside and I have some time to myself, I go up the road to my grandmother’s study, or out to a café. I would still, someday, love that “room of my own,” but I also see the benefits of moving around. I’m a restless person and a change of scenery and a room with different smells and sounds almost always does me well. 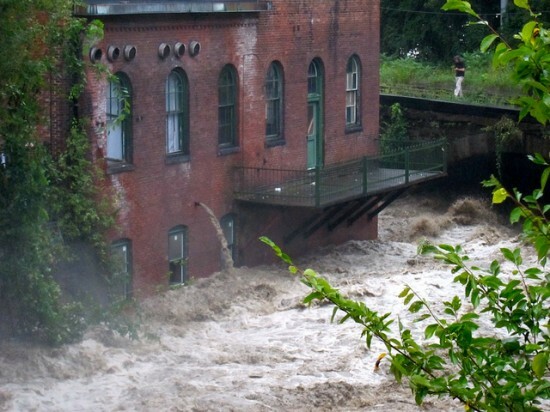 Hurricane Irene caused some of the worst flooding and destruction in Vermont’s history. How did the story affect you and your community? Hurricane Irene was pretty devastating around here. The road to and from our house was eviscerated in about 20 places…twenty-foot deep chasms where gravel and concrete used to be. Houses were lost, businesses were lost. There are the short term, disastrous effects of homelessness and trauma, but also far reaching long-term effects in terms of the loss of businesses and a foliage season with extremely limited tourism. Everybody has been affected. That being said, the storm brought some beautiful moments as well: the days after the storm the roads were filled with neighbors walking and biking, checking in on each other and sharing stories. Kids were riding their bicycles up and down the remaining sections of Route 9 (the cut-off paved highway), and the general store opened (via generator) to serve coffee and tea and baked goods and beer and wine. Like most poignant moments in life, the good and the bad came intertwined. You recently decided to try living for one year without buying any new, non-necessary items. Food, items necessary for health and safety and essential supplies (like brake fluid, toilet paper, etc.) are allowed, as are second-hand items, magazines, music downloads, etc. What motivated you to take this pledge and to simplify your life in this way? Is one of you more excited about this lifestyle experiment than the other? How’s it going so far? We had some friends who were doing “The Compact,” which we thought was cool, but considered ourselves pretty immune to materialistic culture. Then I read an article by Scott Russell Sanders in Orion about the mythology of wealth, and I was sold. Everything we buy, no matter how little, supports that mythology. It separates the haves from the have-nots. I realized then that I wasn’t really immune; when my friends buy fancy new things I can’t help it—I start wanting a fancy sweater or new boots or that kind of twenty-dollar, made-in-China teacup. Once I made that recognition, I decided to cut myself off from that impulse, or at least learn to recognize and tame it. So we signed on. We were both equally gung-ho from the beginning. The day before it began I went out and bought matches, cleaning rags, canning jars and candles. That was it. Oh, and a pair of sunglasses, just because I wanted a new stylish pair, which broke a week later. So I don’t have stylish sunglasses for the year, but that’s been the only hardship so far. To be honest, we haven’t really noticed a change. I throw out catalogs the minute they arrive in our box. I don’t pine over Anthropologie. I have fun and feel adventuresome in second-hand-stores, just like I used to as a kid and a teenager and as a broke twenty-year-old. The only problem is that I feel bad about not supporting our local bookstore (Everyone’s Books–the one that didn’t get destroyed by a fire this spring, and the one that didn’t wash away by Irene), but the owners have assured me they’re doing just fine without my business (and support the theory behind our experiment). So…so far so good. We know we’re not changing the world by doing this, just getting a hold on our own materialist impulses, and (hopefully) setting new standards for what we do buy new in the future (music, books, locally and sustainably made things, etc.). 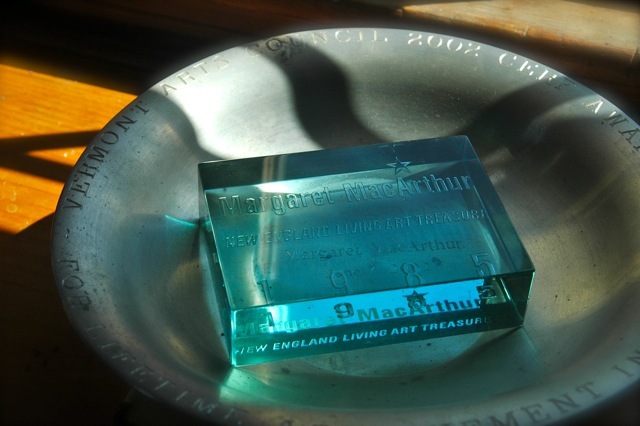 You can listen to an in-depth story about Margaret MacArthur and Red Heart the Ticker on NPR’s Weekend Edition here. For more information about Red Heart the Ticker you can visit their website or the site for Your Name in Secret I Would Write. 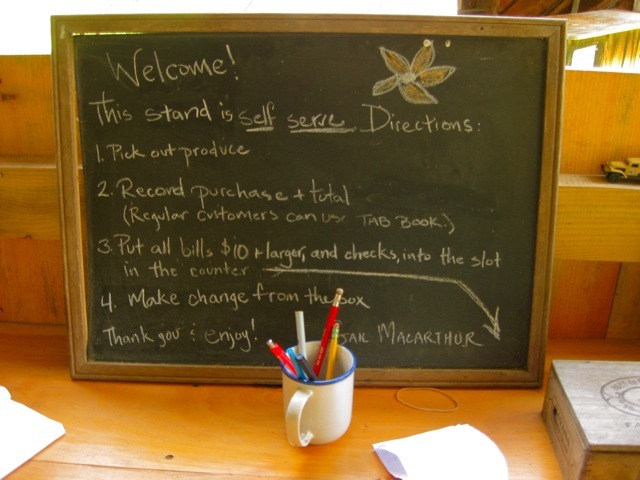 Robin MacAthur writes about music, ideas, and life in Vermont at her blog Woodbird. 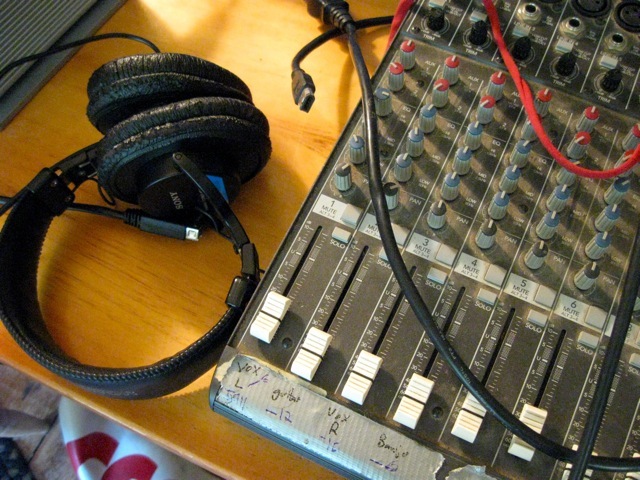 You can listen to interviews with the duo on NHPR’s Word of Mouth or VPR’s Vermont Edition. Catch Red Heart the Ticker live in New York City this Saturday at The Living Room in the East Village. The show is free and starts at 7 p.m. Visit the album website for more upcoming tour dates. 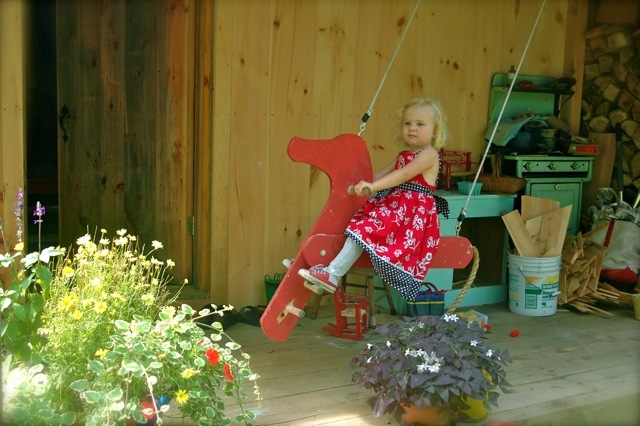 If you enjoyed this Creative Spaces profile, please share it on Facebook, Twitter, etc. You can read the entire Creative Spaces series here. Would you like Gwarlingo delivered to your email inbox? Subscribe for free here. You can also follow Gwarlingo on Twitter and Facebook or share a “like” on the Gwarlingo Facebook page. I’ve spent almost 20 years helping thousands of successful artists of all disciplines and working to make the arts more accessible. 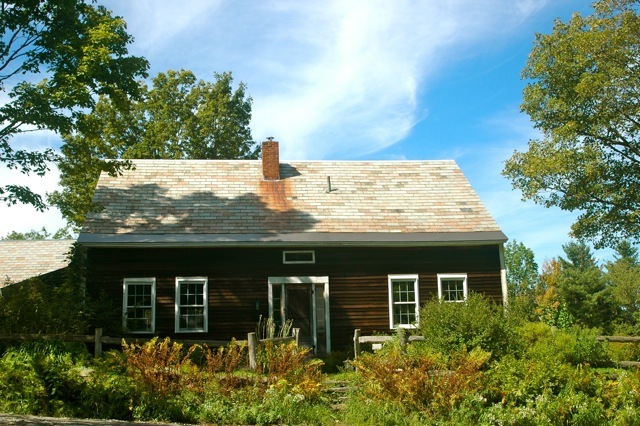 (One friend likes to call me “the arts enabler.”) From 1999-2012 I worked at The MacDowell Colony, the nation’s oldest artist colony, but I've also done time at an arts magazine, a library, an art museum, and a raptor rehabilitation center. In May of 2012 I left MacDowell to pursue writing, speaking, curating, and creative projects full-time. 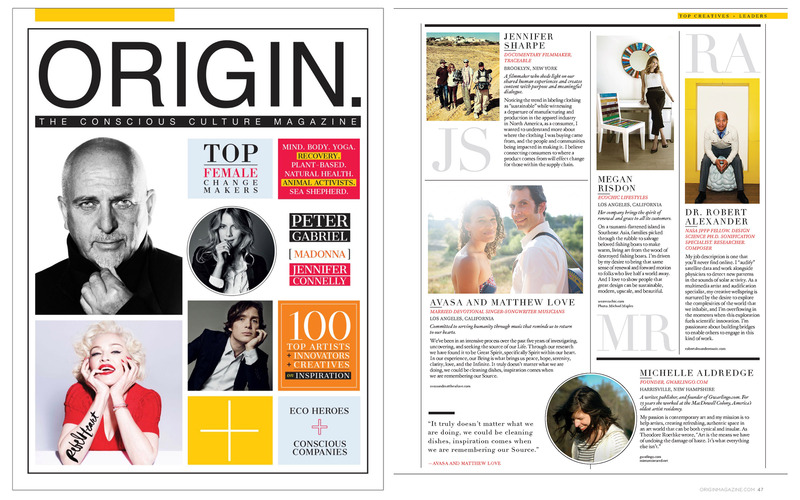 In 2015 I was named a “Top 100 Artist, Innovator, Creative” by Origin magazine. I've appeared as an arts and culture commentator on New Hampshire Public Radio, and in 2017 I was the recipient of the Wampler Art Professorship at James Madison University. 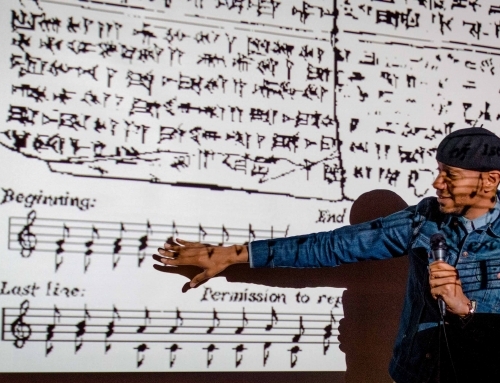 I am the founder of the Gwarlingo Salon series, which connects artists like DJ Spooky with rural audiences in the Monadnock region. 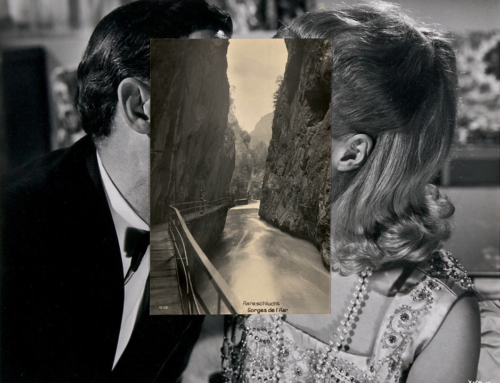 In 2017 my collaborator Corwin Levi and I will publish our first book, Mirror Mirrored, which combines Grimms’ fairy tales with vintage illustration remixes and the work of contemporary artists like Kiki Smith, Carrie Mae Weems, and Amy Cutler. I grew up in Atlanta, Georgia, but have called New Hampshire home since 1999. My studio is located in the historic, mill village of Harrisville. I miss fried okra, the early southern spring, and restaurants that stay open past 9:00 p.m., but rural life agrees with me. In New Hampshire I can see the stars, go kayaking or snowshoeing, watch bald eagles fish in the lake, and focus on my creative work in silence. I no longer have to worry about traffic jams; deer, wild turkeys, and frost heaves are the primary road hazards here. Although I live in the country, I’m fortunate enough to be part of a vibrant arts community that extends beyond this small New England village. 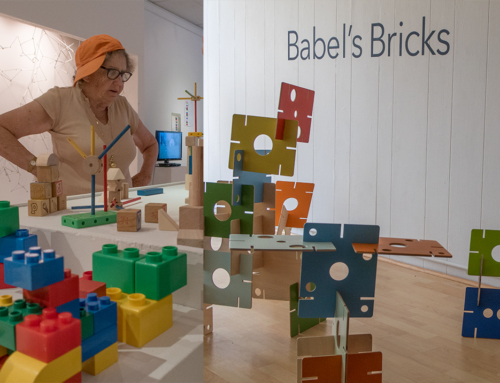 The quiet days are punctuated by regular travel and frequent visits to museums, theaters, readings, arts events, lectures, and open studios around the country. (You can read my full CV here.) Thanks for visiting Gwarlingo. I hope you'll be in touch. 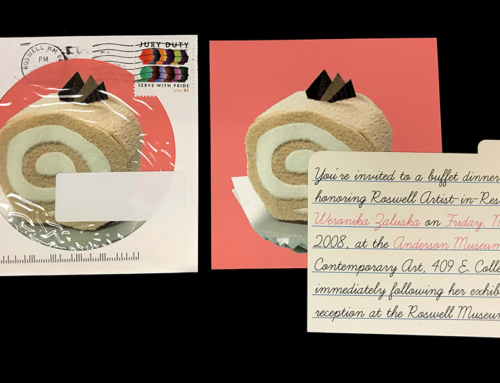 Gwarlingo, founded by Michelle Aldredge, features exciting finds in contemporary art, as well as advice about living the creative life. Gwarlingo highlights some of the most inventive art being made today and is a place where creative people can connect, explore, and share challenges, ideas, and resources. Whether you are here to read a new article, browse the Sunday Poem archives, get help with your art toolbox, or share your own work, we welcome you. Thanks for visiting. Come back. Come often. Thanks to hundreds of readers who have given donations big and small, Gwarlingo remains ad-free. Donors who give $50 or more receive an interactive member profile (shown here.) If you love Gwarlingo, please consider giving back.